John B. Brew: International Trade/Product Risk Management Lawyer: Washington, D.C.
John Brew is a partner and co-chair of Crowell & Moring's International Trade Group and focuses his practice in the area of Customs. He has extensive experience in import and export trade regulation, and he regularly advises corporations, trade associations, foreign governments, and non-governmental organizations on matters involving customs administration, enforcement, compliance, litigation, legislation and policy. John represents clients in proceedings at the administrative and judicial levels, as well as before Congress and the international bureaucracies that handle customs and trade matters. He advises clients on all substantive import regulatory issues handled by U.S. Customs and Border Protection, and Immigration and Customs Enforcement, such as classification, valuation, origin, marking, tariff preference programs, other agency regulations, admissibility, import restrictions, quotas, drawback, audits, penalties, investigations, Importer Self Assessment and Customs-Trade Partnership Against Terrorism programs, importations under bond, the Jones Act, vessel repairs and foreign trade zone matters. John has assisted clients in a broad array of industries (chemical, pharmaceutical, petroleum, textile, apparel and footwear, food and agricultural, machinery, equipment and electronics, and household goods) providing creative solutions that enable clients to obtain significant duty savings and mitigate draconian customs penalties. His practice also includes representation of clients in other international trade areas, such as export controls, sanctions, market access, World Trade Organization-related matters, bilateral, multilateral and regional trade agreements, foreign corrupt practices, anti-boycott, anti-dumping and countervailing duty actions, short supply proceedings, Section 201, Section 301, Section 337, and other import relief actions. John is a co-editor and author for the ABA's International Practitioner's Deskbook, "U.S. Customs: A Practitioner's Guide to Principles, Processes and Procedures," the interview editor for Kluwer Law International, Global Trade and Customs Journal, and was a member of the International Trade Law360 Editorial Advisory Board in 2014. John has been recognized by Chambers USA, in the area of International Trade: Customs, Chambers Global in the area of International Trade, U.S, The Best Lawyers in America in the area of International Trade and Finance Law, Who's Who Legal in the area of Trade and Customs, and Super Lawyers in the area of International. Assisting clients establish import compliance and cargo security programs and become C-TPAT and ISA members. Representing a home textile manufacturer in a favorable classification decision before Customs, the U.S. Court of International Trade and the Court of Appeals for the Federal Circuit, and advising the company on multilateral and bilateral textile agreements. Counseling U.S. importers on Customs valuation issues, including audits, intracompany transfer pricing, three-tiered transactions, buying agency agreements and assists. Advising U.S. importers and exporters of automobile, food, chemical, pharmaceutical, plastic, textile, apparel and petroleum products during NAFTA verifications conducted by United States, Canadian and Mexican Customs officials. Assisting a U.S. computer manufacturer obtain export licenses for encryption technology, terminate an investigation on alleged OFAC embargo violations, and negotiating the inclusion of the company's products as part of the Information Technology Agreement providing duty-free treatment for imports and exports. Defending U.S. importers and manufacturers against Customs penalty, liquidated damages, detention, seizure and forfeiture actions. "Import and customs: enforcement, drawback, Misc. Tariff Bill, and trade preference programs (GSP)," Trade in 2018 - What's Ahead?, Webinar (April 19, 2018). Presenters: John B. Brew and Aaron Marx. "Interview with the Centers of Excellence and Expertise," American Conference Institute's Annual Forum on Customs and Trade Enforcement, Washington, D.C. (September 27, 2017). Interviewer and Presenter: John B. Brew. "Sports Developments in Trade Law: Impact of Potential New Border Taxes on Imports; Plus, How to Combat Infringing Imports and Comply with New Forced Labor Laws," The Sports and Fitness Lawyers Team Presents: Zone Defense, Las Vegas, NV (February 6-7, 2017). Panelists: John B. Brew and Aaron Marx. "Use of Statistical Sampling in Trade Compliance," International Compliance Professionals Association’s 2016 Annual Conference, Las Vegas, NV (March 16, 2016). Speaker: John B. Brew. "Statistical Sampling in Prior Disclosures: Understanding the Methods and Benefits while Avoiding Common Errors," American Conference Institute's 10th Advanced Forum on Import Compliance & Enforcement, Washington, D.C. (January 21, 2016). Presenter: John B. Brew. "Border Crossing Issues of Products," 2015 SFIA Litigation & Risk Management Summit, Las Vegas, NV (February 2-3, 2015). Speaker: John B. Brew. "Import Document Deep Dive – Navigating Documents Needed to Comply with FDA, CPSC, ATF, and FCC Import Requirements," ACI's 9th National Forum on Import Compliance & Enforcement (June 11, 2014). Presenter: John B. Brew. "FSMA and Foreign Suppliers: Managing New Customs Obligations and Responsibilities," Grocery Manufacturers Association's Science Forum, National Harbor, MD (April 6, 2014). Presenters: John B. Brew and John Fuson. "Customs Valuation and Assists," International Compliance Professionals Association Annual Conference, Lake Buena Vista, FL (March 23-27, 2014). Presenter: John B. Brew. "The Centers of Excellence Debate – How Can Importers Benefit from These Centers?" American Conference Institute's 2nd U.S. Customs Compliance Boot Camp, Washington, D.C. (November 19-20, 2013). Co-Chair and Panelist: John B. Brew. "Global Management: Import/Export U.S. and EU Perspectives on Rules and Compliance," All Hands Meeting International, Santa Clara, CA (May 16, 2013). Presenter: John B. Brew. 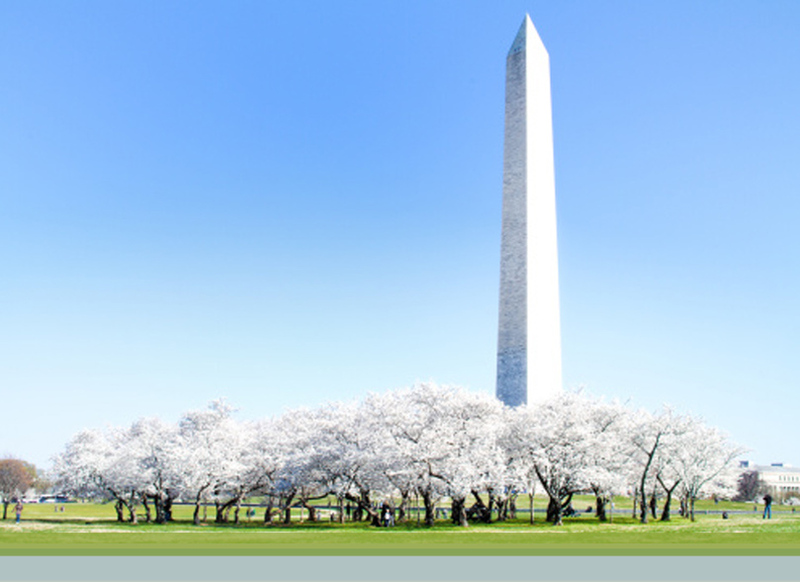 "Understanding the Food Safety Modernization Act's Impact on your International Supply Chain," Grocery Manufacturer's Association, Science Forum, Washington, D.C. (April 3, 2013). Presenter: John B. Brew. "Getting Customs Valuation Right," ACI's U.S. Customs Compliance Boot Camp, Washington, D.C. (November 27-28, 2012). Speaker: John B. Brew. "Solving International Business Challenges -- Maximizing Opportunities and Minimizing Risks," Association of Corporate Counsel CLE, Santa Clara and San Francisco, CA (November 13-14, 2012). Presenters: John B. Brew, Adelicia R. Cliffe, and Christopher Wilson. "Preparing for Customs Audits: How to Minimize the Risk of Non-Compliance during Focused Assessments," ACI's 6th Advanced Forum on Import Compliance & Enforcement, Washington, DC (May, 17-18, 2011). Co-Presenter: John B. Brew. "Bringing Value: Turning a Cost Center into a Profit Center," International Compliance Professional Association Annual Conference, Phoenix, AZ (March 21, 2011). Presenter: John B. Brew. "Maximizing FTA Savings Opportunities," 6th Advanced Forum on Global Customs Compliance, Washington, D.C. (June 28, 2010). Co-Presenter: John B. Brew. "Customs 101: Successful Advocacy in Customs Administrative Practice," Trade & Customs Law - Basics You Need to Know, Georgetown University Law Center, Washington, DC (February 24, 2010). Panelist: John B. Brew. "Maximizing Duty Saving Opportunities with Valuation and Classification," ACI's 5th Advanced Forum on Import Compliance & Enforcement (October 2009). Speaker: John B. Brew. "Overview of African Growth and Opportunity Act (AGOA)," Workshop sponsored by The Leitner Center for International Law and Justice at the Fordham School of Law, and the Faculty of Law at Kwame Nkrumah University of Science and Technology, Ghana, Africa (August 2009). Speaker: John B. Brew. "U.S. Customs 101 & How to Leverage Customs to Stop Counterfeit and Gray Market Goods at the Border," ACC Roundtable Luncheon, Anaheim, CA (February 25, 2009). Speakers: John Brew and Kimberly Chen Nobles. "How to Handle Customs Audits and Penalty Proceedings," Compliance Online Webinar (June 12, 2008). Presenter: John B. Brew. "Country of Origin Laws: Marking Obligations and Duty Savings Opportunities," Valve Manufacturers Association of America CFO Seminar, Crystal City, VA (May 17-18, 2007). Presenter: John B. Brew. "Recent developments in Customs and International Trade," 2nd Annual Global Customs Summitt, Boehringer-Ingelheim Pharmaceuticals, Ridgefield, CT (March 6, 2007). Presenter: John B. Brew. "Roundtable Discussion of Free Trade Agreements," Advanced Import Compliance Forum, marcus evans, Chicago, IL (September 15, 2006). Moderator: John B. Brew. "Guidelines for Preparing and Defending Quick Response Audits," Advanced Import Compliance Forum, marcus evans, Chicago, IL (September 14, 2006). Presenter: John B. Brew. "Performing an Audit of Your Company's Import Compliance: A Complete Guide for a Successful Self-Assessment," 2nd Advanced Forum on Import Compliance, American Conference Institute, Washington, D.C. (March 23, 2006). Presenter: John B. Brew. "How Can Canadian Companies Prepare for United States' Customs and Border Protection Programs?," 9th Annual Conference: Customs Compliance, The Canadian Institute, Toronto (February 16, 2006). Presenter: John B. Brew. "Customs 101 for 2006: How U.S. Customs and Border Protection Regulates Commercial Imports," Trade and Customs Law Introduction/Refresher, Georgetown University Law Center and American Bar Association Section on International Law, Washington, D.C. (February 1, 2006). Presenter: John B. Brew. "Navigating the Trade Triangle: Importer's Master Class in Maximizing the Benefits and Duty Savings Available Under NAFTA," Import Compliance Forum, marcus evans, San Francisco, CA (December 7, 2005). Conference Chair and Presenter: John B. Brew. "The Impact of International Trade on the Surface Industry," The International Surface Event, Las Vegas, NV Speaker: John B. Brew. "CBP Posts Notice on Section 301 Product Exclusions Announced on December 28, 2018," Crowell & Moring's International Trade Law (January 2, 2019). Authors: John B. Brew and Edward Goetz. "USTR Grants First Section 301 List 1 of Product Exclusions," Crowell & Moring's International Trade Law (December 26, 2018). Authors: John B. Brew, Spencer Toubia and Edward Goetz. "USTR Posts Federal Register Notice on Section 301," Crowell & Moring's International Trade Law (April 6, 2018). Authors: John B. Brew and Edward Goetz. "Robert Ireland, WCO Research Unit," Global Trade and Customs Journal (Vol. 11, Issue 1). Author: John B. Brew. "Border Control Limbo: Saving your Product From Seizures, Forfeitures, Fines and Delays," Crisis Management Handbook, Ch. 7, Crowell &Moring Advertising and Product Risk Management Group (March 2013). Author: John B. Brew. "Global Trade and Customs Journal," Interview of Kunio Mikuriya, PhD, Secretary General, World Customs Organization, Kluwer (September 2011). Interviewed By: John B. Brew. "Customs 101: Importation Process Basics," Trade & Customs Law - Basics You Need to Know, Georgetown University Law Center (February 2010). Co-Authors: John B. Brew and Nicole M. Jenkins. "African Growth and Opportunity Act, Navigating the International Trade Process: A Guide to AGOA Eligibility," The Leitner Center for International Law and Justice at the Fordham School of Law (2009). Contributor: John B. Brew. "U.S. Customs: A Practitioner's Guide to Principles, Processes, and Procedures," International Practitioner's Deskbook Series, American Bar Association (2009). Co-Editor, Co-Author (Ch. 6: Duty Savings Opportunities), Author (Ch. 8: Administrative and Judicial Review of U.S. Customs and Border Protection Decisions): John B. Brew. "New Importing Laws May Affect Retailers," Floor Covering Weekly, Vol. 57, No. 27 (November 2008). Co-Authors: Jeffrey W. King and John B. Brew. One Year Later: Has Trump Been Good For Biglaw?